A selection of my writing. I like to think it’s blooming marvellous. If you agree, you can hire me here. You can also download my CV to browse at your leisure. I’ve written several pieces praising Doncaster, South Yorkshire, where I am based. 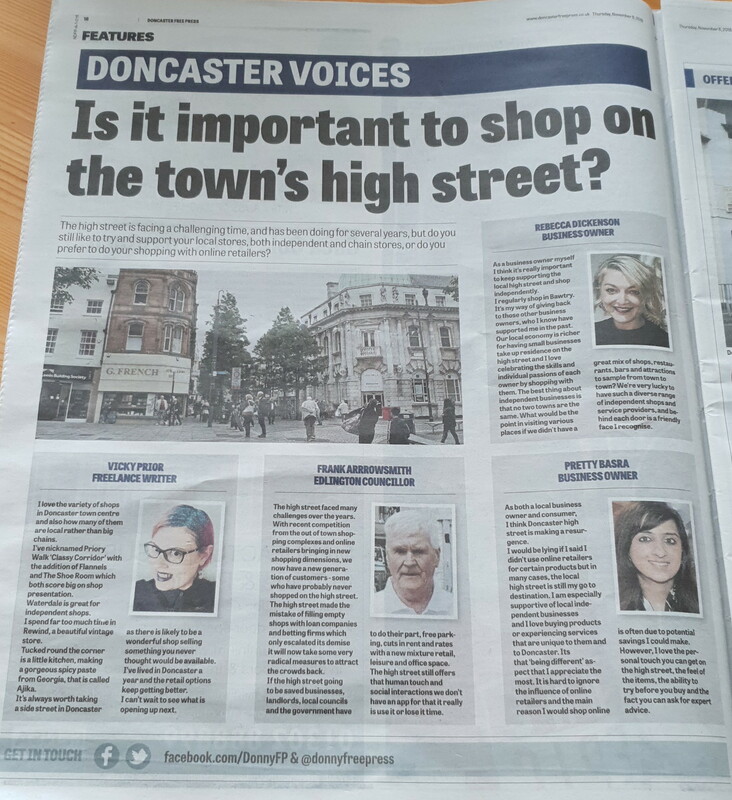 These include a round-up of my favourite places for David and Donetta, and a piece on the town centre for Doncaster Free Press. All my guides for Property Workshop.com are on this page. I create in-depth articles on various aspects of home improvement. Crafted several info pages, including one on product care, for US fashion brand Le and La, which specialises in leather and lace wear. My author page at Metro.co.uk, showcasing my reviews for shows including EastEnders and Orange Is The New Black. My review of Sky1 firefighter drama The Smoke. I attended the preview screening and included comments from the cast and crew in my article. I also interviewed Jodie Whittaker (now better known as the 13th Doctor). P3P Technologies specialise in biofuels. I wrote the script for their explanimation, developed with agency Nucco Brain, was to be used in sales pitches to clients. Product description of dark blue bikinis for a fashion website. The text runs along the search results on the site and offers advice on how to style the product. An article for the Anticipations US Election Special, where I used a famous photo of the Obamas hugging to offer tips on how Ed Miliband could improve his popularity. Chichester Cathedral commissioned a new sculpture by Spanish artist Jaume Plensa. I attended the discussion at the Cathedral where Plensa outlined his plans. I am the Director of UK advocacy body League of Culture, where I blog on cultural policy issues. Note: I have produced a large volume of copy for major retail and tourism brands, this work is covered by NDAs but I can say that it included a mixture of About pages for companies across the globe, product descriptions for an American shopping chain, and advice on sightseeing and hotels in Asia.